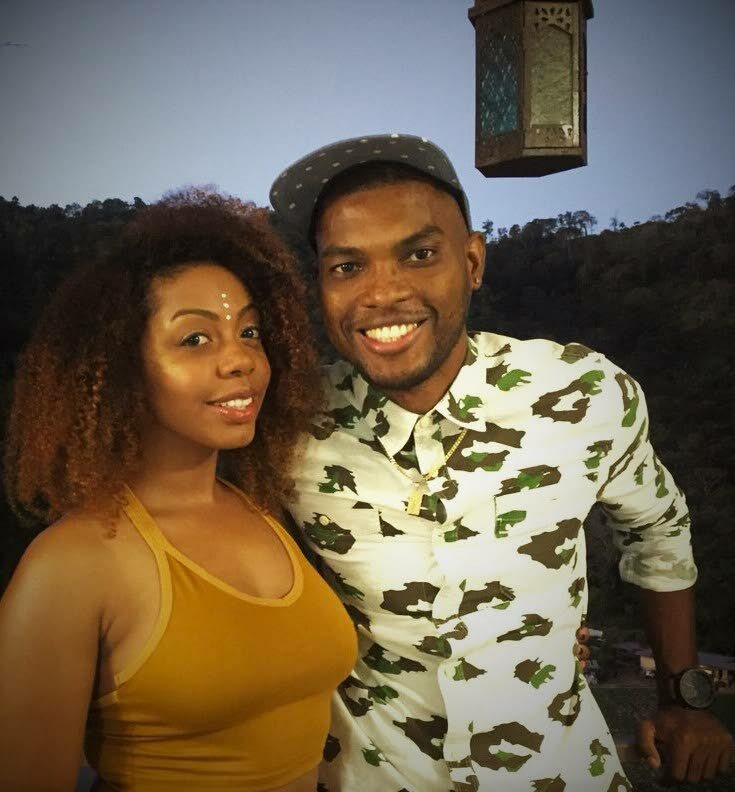 Graphic designer Kirk Stoute and former account executive Sherry Maxwell are the brains behind So Hippie, a rapidly growing brand, So Hippie, which has graced desks and homes throughout TT with beautifully potted succulent plants. 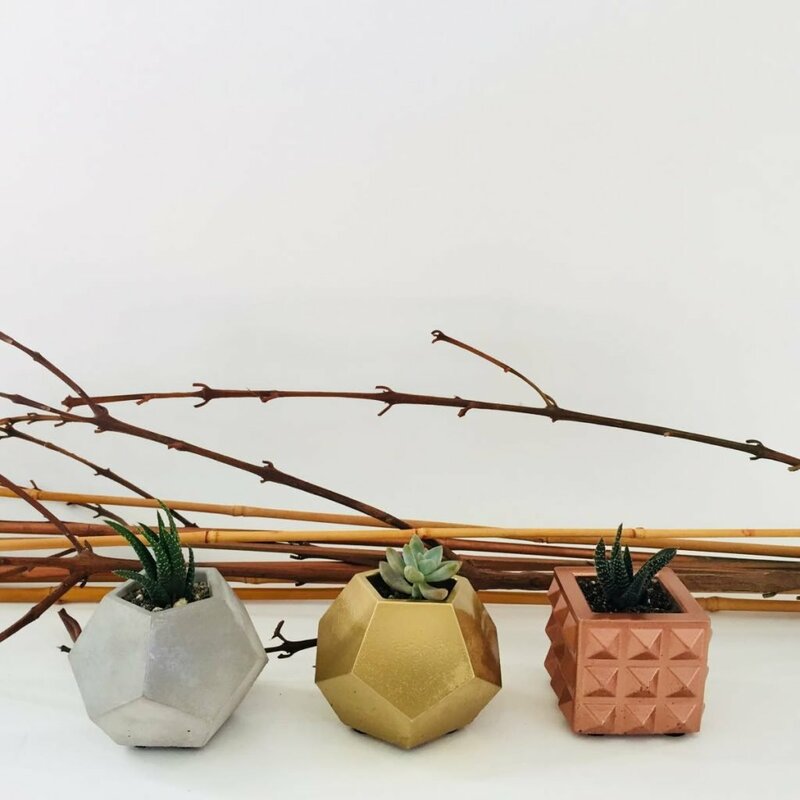 The concept of decorative succulents has been a growing trend, especially for millennials. While Stoute puts in tremendous time and energy in balancing production and sales with his job as a graphic designer, Maxwell decided to leave her corporate job to work on building the company while working as a freelance communications consultant for a number of companies. Founders of So Hippie, Sherry Maxwell and Kirk Stoute. So Hippie, which started production and online promotion via Instagram in May, has seen tremendous growth and continues to gain momentum. The couple, who have been together for eight years after knowing each other 14 years, decided to work on what they call their baby after the idea for creating the product came up in late 2017. Stoute said he is a spontaneous artist who loves do it yourself creations, while Maxwell, a plant- lover, is more structured and business-oriented. He said with that combination, the product made perfect sense. "It was just natural. I wouldn't say it has to be a passion, but when you are good at something it seems to just flow," Maxwell said. 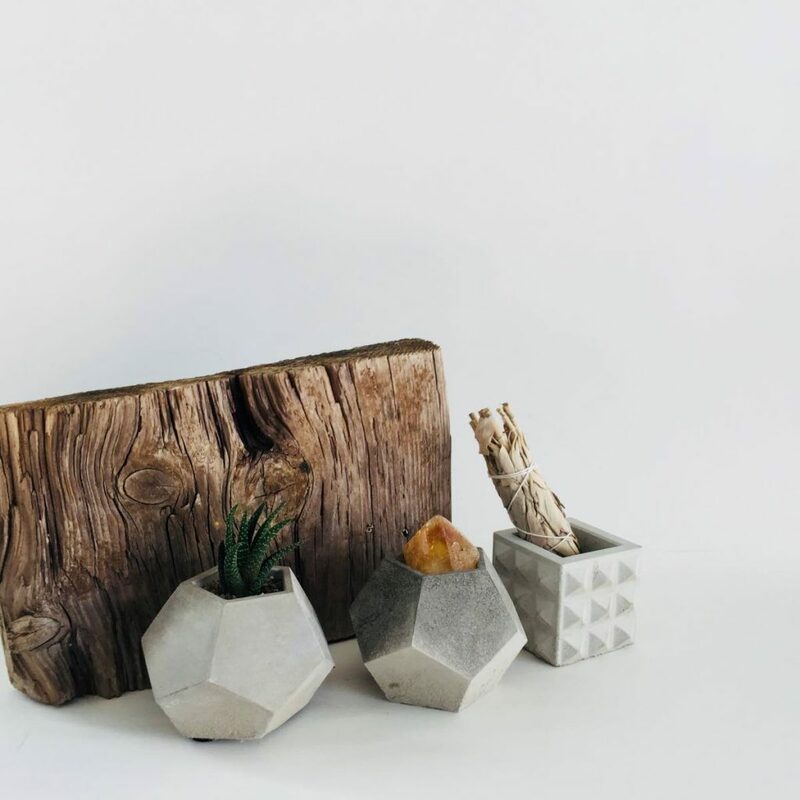 The 100% local brand sources all its material in TT – cement used to create the pots are locally produced, and plants are sourced from botanists in East Trinidad who they said are "super supportive." The pots are made by Stoute and Maxwell, where cement is placed in a mould, after which it is left to dry for at least 12 hours. They then make the pot smooth by sanding it, after which it is drilled, painted – then ready for potting of the succulent plants. She said the feedback has been overwhelming, as they did not expect as many people to gravitate toward what may have seemed like a niche product. "It is not that we were not prepared, but we were still blown away by how much of a hit it was," Stout said. Maxwell attributes this success to the intention of peace behind the product, and them being true to themselves by putting their energies into a product that is dear to them. "The social media page is really a reflection of our essence and the voice of the brand, and people have been loving it." They said the growth of the brand has been organic, as they have only done two advertisements, along with gifting the product to social media influencers, who were happy to share the beautiful creations. 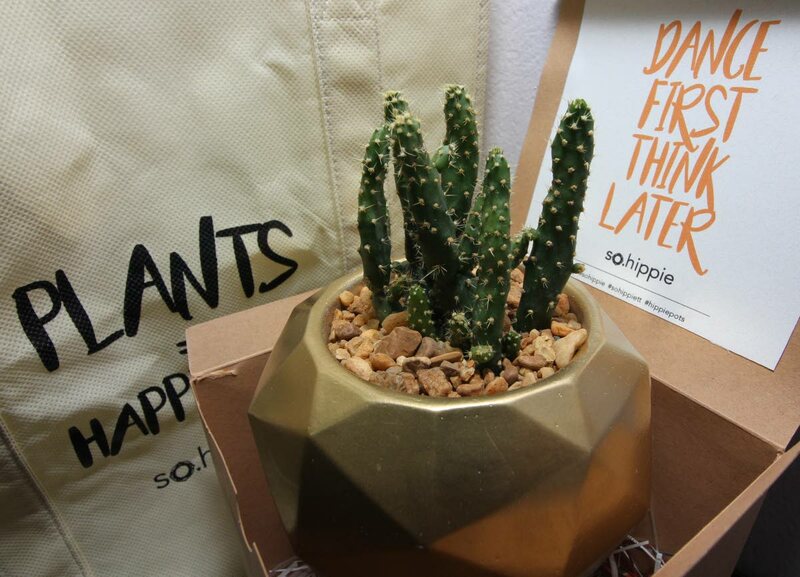 While So Hippie is not the only company providing uniquely packaged succulent plants, Stoute said they had to put their personality into defining the product. "If we realized someone else was doing something very similar to what we had in mind we probably would not have continued with it. But the fact that we did not see any competition in our research gave us the confidence to go head-on into it." Maxwell supported Stoute in saying there will always be competition in markets, but it is a matter of how one adapts because nothing is absolutely novel. A feature which the couple says allows their product to stand out is the packaging. The product is designed for gifting. Each plant comes in a box, tied by a plant-based ribbon. Inside the box, the potted plant sits in a tray and is cushioned by shredded paper with positive affirmations and a note from So Hippie, which includes the Hippie Plant Care 101 – giving tips on how to care for each type of plant. The team who receives tremendous support from their family and friends said their plan for 2019 is to expand their product line. They intend to create a wider range of options for both plants and pots, without making it an overwhelming task for customers to decide. This, while expanding their own nursery, which will reach full maturity next year. They also intend to produce a line of So Hippie apparel, which will be in line with the brand's promotion of appreciation for nature. Maxwell said, "People are always afraid to take the first step, we were afraid for too long. Society does not encourage us to be entrepreneurs in the formal education system. You will have it in mind that you want to create something, but feel like it is too out of the box. You will feel fear and intimidated, but mentally push yourself to step outside the box." Stoute said his hope for other young entrepreneurs is that they will focus more on getting started than being overly caught up in thinking about having a lot of money for start-up capital. "Just start small, start doing it small, put your stamp on it – it does not have to be hundreds of thousands of dollars. Both Stoute and Maxwell enjoy creating and watching the brand they love to grow. A brand defined by good vibes, beautiful flow and positive vibes. Orders for delivery can be made via direct message on instagram at @so.hippie. Reply to "So Hippie: Plants = Happiness"